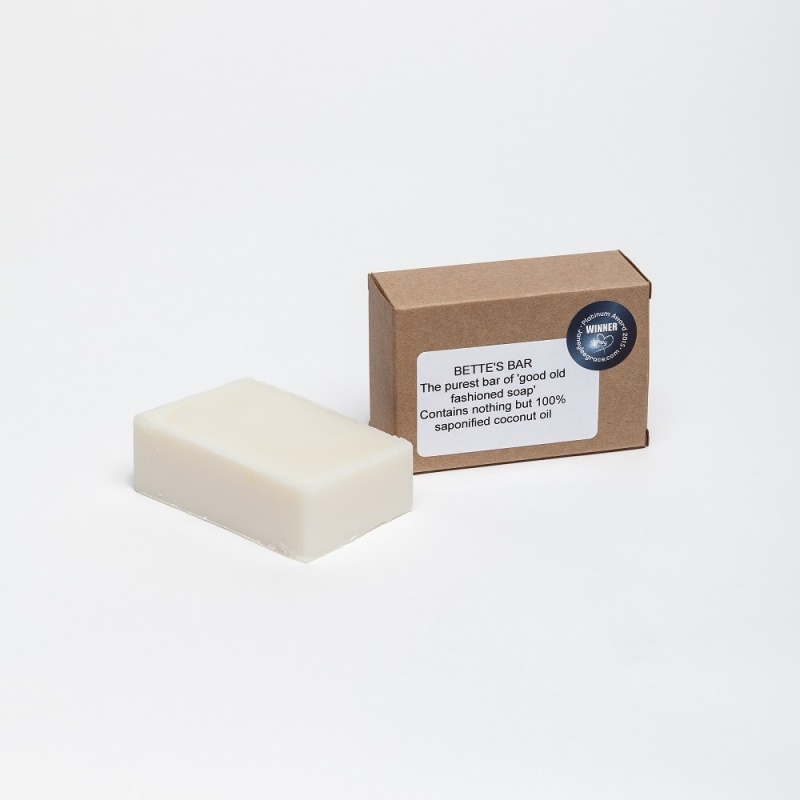 An original cold-processed soap, which is suitable for cleaning just about anything around the house. Use it in the laundry as a gentle stain removal booster. Made by hand in the UK. Vegan and Palm Oil free. 100% paper packaging. Made from 100% coconut oil it is natural, safe and non-toxic. It doesn’t contain detergents, dyes, fillers, perfumes, phosphates, optical brighteners or petroleum-based ingredients, which could irritate sensitive skin, and it is readily biodegradable and safe for septic tanks. Use it in the laundry as a gentle stain removal booster. It’s particularly effective at removing grease and oil stains and is great for collars and cuffs. Used around the house there is very little Bette’s Bar can’t tackle. Very gentle on skin, it can be used on a cloth or brush or as a solution in warm water. Ingredients 100% Saponified Coconut Oil. For Lavender and Chamomile: additionally includes Organic Lavender and Chamomile Essential Oils.